Silly Bee's Chickadees: Tea Party Peek! Saturday we had a super cute tea party for bride-to-be, Candy. 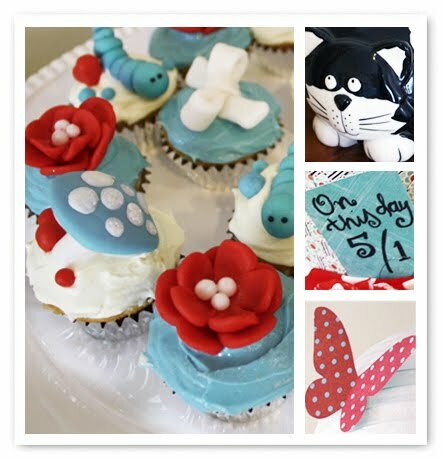 This is the tiniest peek into our Alice in Wonderland themed soiree. Menu, invitation, decor and a tutorial or two to come!